Our plush terry towels available in White and Ivory with your choice of more than 50 tape colors (trade see View Details and Pricing for Color Options). Available as Bath Sheet, Bath Towel, Hand Towel, Guest Towel and Wash Cloth (note Wash Cloth has tape trim on edge only). 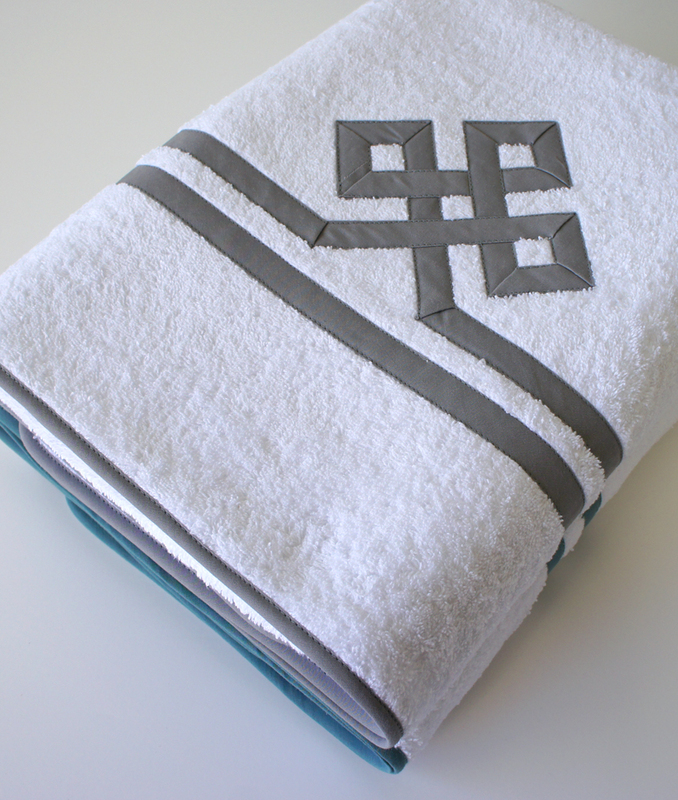 Fretwork design pictured is on our Bath Sheet and Bath Towel. See diagrams for coordinating design on our Hand and Guest Towel.